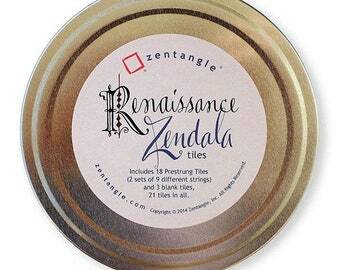 Blank Renaissance Zendala® tiles in a package of 21. 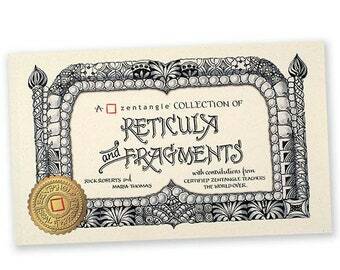 Mandala meets the Zentangle Method in a wonderfully harmonious union that will inspire you to put pen to paper. 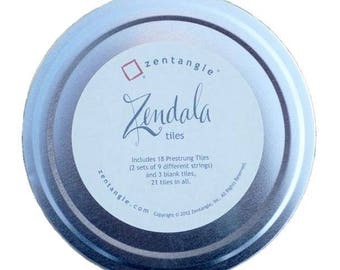 Zentangle Zendala® tiles are 4-5/8" (117mm) diameter. 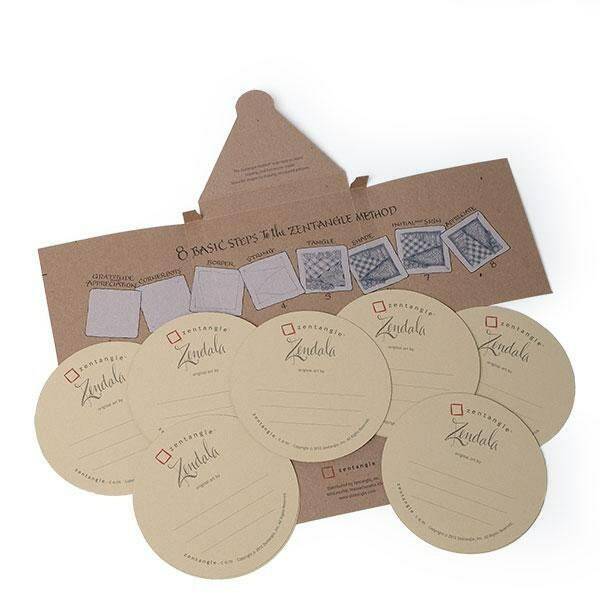 They are die cut with our familiar deckle edge and use the same paper as our square renaissance tiles. 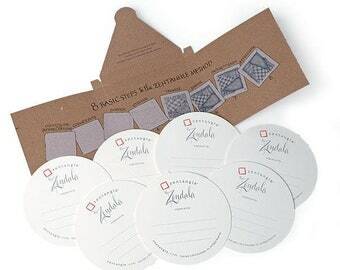 Our Zendala tiles are about 50% larger than our original square tiles. You can get them in all three colors, blank or pre-strung with beautiful symmetrical strings. 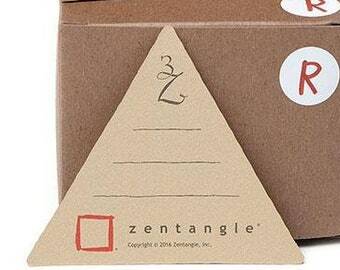 These tiles emphasize the Zentangle principle of "no up or down, no left or right." Explore tangling with symmetrical and asymmetrical strings. This case is more amazing than I imagined. I didn’t realize it held pens. 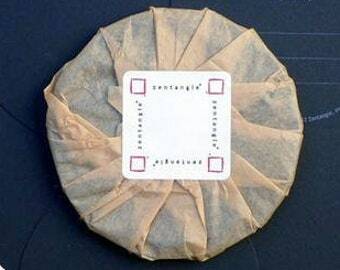 Pop it in the purse and go!